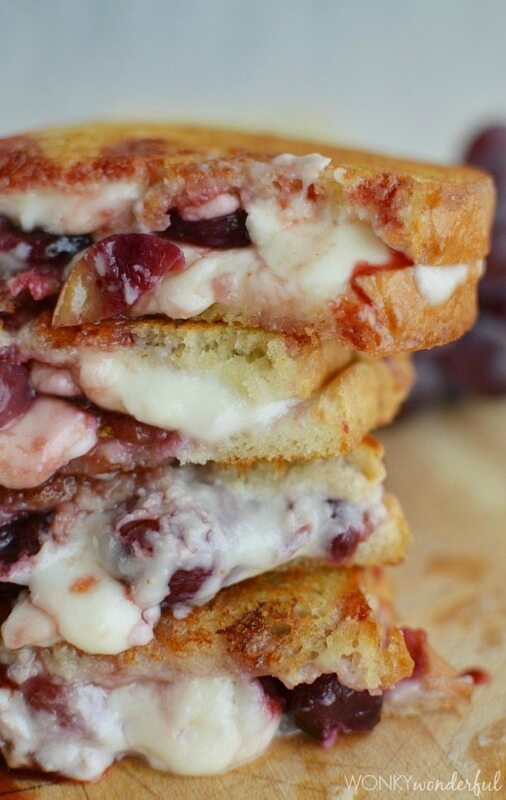 This Grilled Cheese Sandwich gets fancy with creamy Teleme Cheese and Roasted Grapes. A grilled cheese sandwich recipe for grownups! 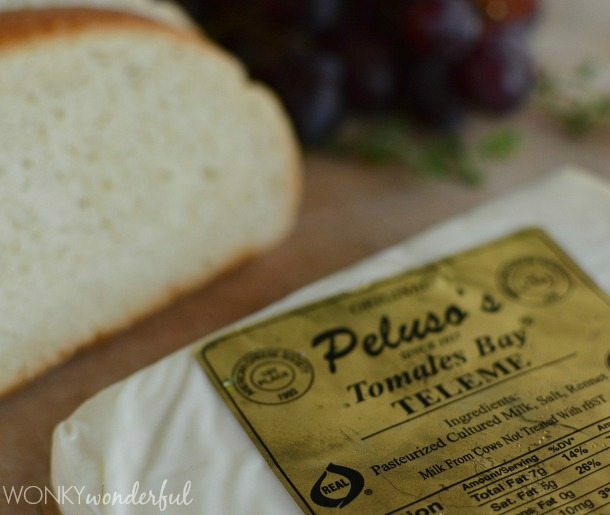 I’m celebrating National Grilled Cheese Month with this version that is made with REAL® Seal Peluso’s Tomales Bay Teleme Cheese. Teleme Cheese is super creamy and mild. It pairs very well with fruit. I added grapes roasted with honey, thyme and salt. The flavor is on a whole new level! REAL® Seal is the guarantee you need to know that your dairy products are made from US produced cow’s milk. Look for the REAL® Seal on the label. Roasted Grapes . . . oh how I love roasted grapes. 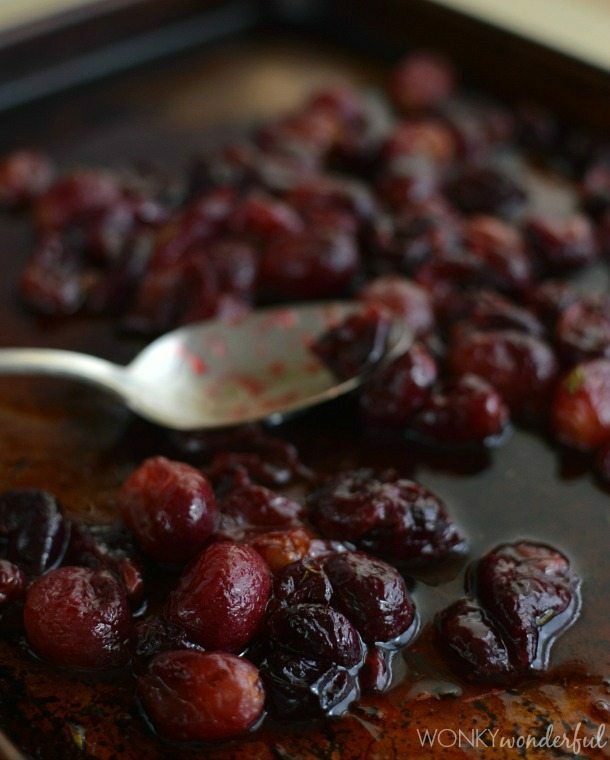 Roasting grapes with honey, salt and thyme creates the ultimate sweet and savory combination. I gushed about my love for roasted grapes back when I posted a recipe for Crostini with Ricotta and Roasted Grapes. So, I’ll spare you the verbose adoration. The only thing I will say is: If you have not yet tasted roasted grapes . . . Do It! Do It Now! This Grilled Cheese Sandwich may be fancy. But it isn’t complicated to make. Simply roast the grapes. Butter the bread. Layer the cheese and grapes. Fry it up. Eat. Combine all roasted grape ingredients, toss until evenly coated. 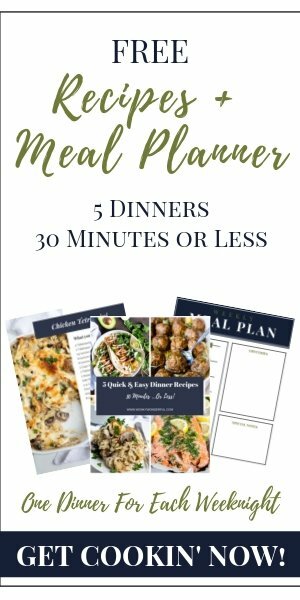 Transfer to a baking sheet and roast for 20 minutes. Stir once or twice during cooking time. Heat large skillet just below medium heat. Generously butter the outside of the bread slices. Lay three bread slices on skillet, butter side down. 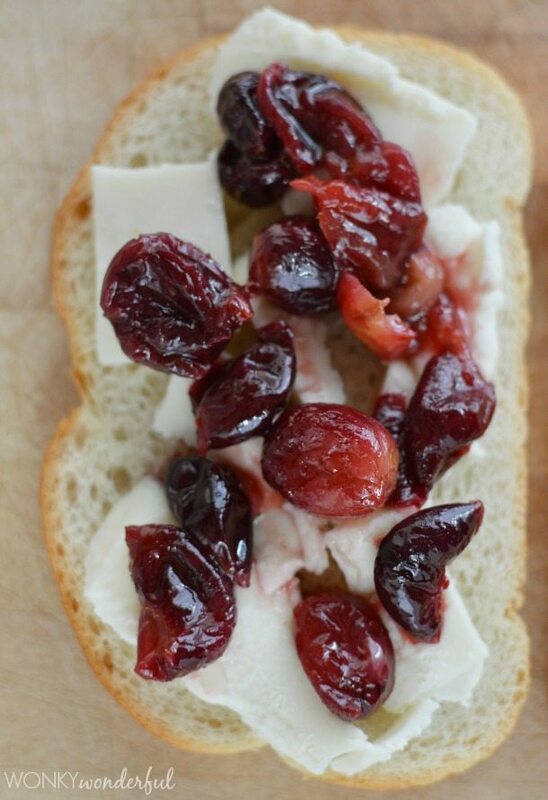 Layer the cheese, grapes and more cheese on each slice of bread. Top with slices of bread, butter side up. Heat until bread is golden brown (about 1-2 minutes). Carefully flip and brown the other side. Mmmm I love roasted grapes! It gives them such a depth of flavor and adding to grilled cheese is a great idea! Thanks Chris! 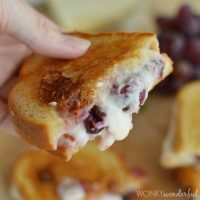 Roasted Grapes + Cheese = AhhhMazing!